Grapefruit is an app to improve your mental strength. 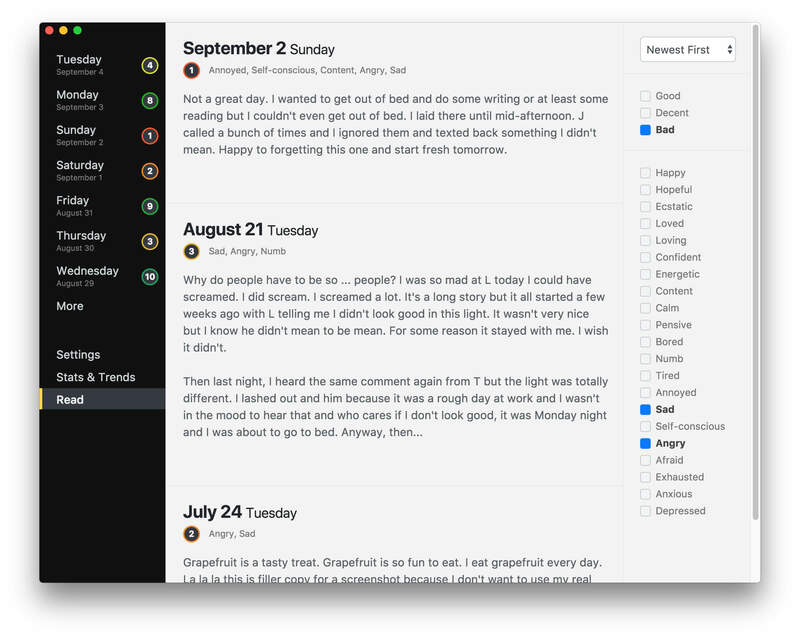 Journal, keep track of your emotions, and more. Life is tough. Exercise and diet can help your body, but what about your mind? Do you take the time to take care of your mental health? Something as simple as taking a few minutes each day to reflect can provide big benefits. 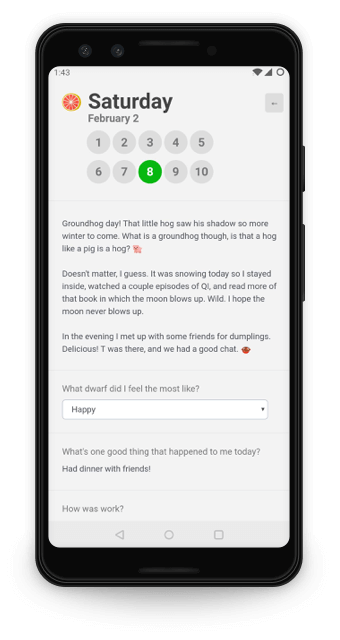 With Grapefruit, you can do your daily reflection through writing, or selecting a numerical rating, or by any number of custom options you can configure just for you. You'll see real benefits just from taking this time each day to gain perspective. But you'll get even more from the results that Grapefruit will generate for you. Find surprising patterns in your behavior, and understand yourself better than you ever have. One of the best things you can do for your mental health is keep a journal. They help you understand your thoughts, reduce stress, and many other benefits. So Grapefruit is centered around that. You'll see instant benefits from just journaling alone, but to get the most out of it, you can go deeper. Say you're struggling with a particular emotion (e.g. depression, or anger) and trying to identify the triggers. Wouldn't it be helpful to read back your journal for just the days when you felt that emotion? That's one way our emotion tracking can help. But what about two emotions? What happened on days when you were sad and angry? You can look at those days as well. Though ... maybe you won't want to. Do you know how often you have a good day? That’s one of the many things Grapefruit will show you. Why? Because it’s so much easier to weather the storms when you know exactly when the sun is coming. Now, how about days of the week. Or most common emotions. 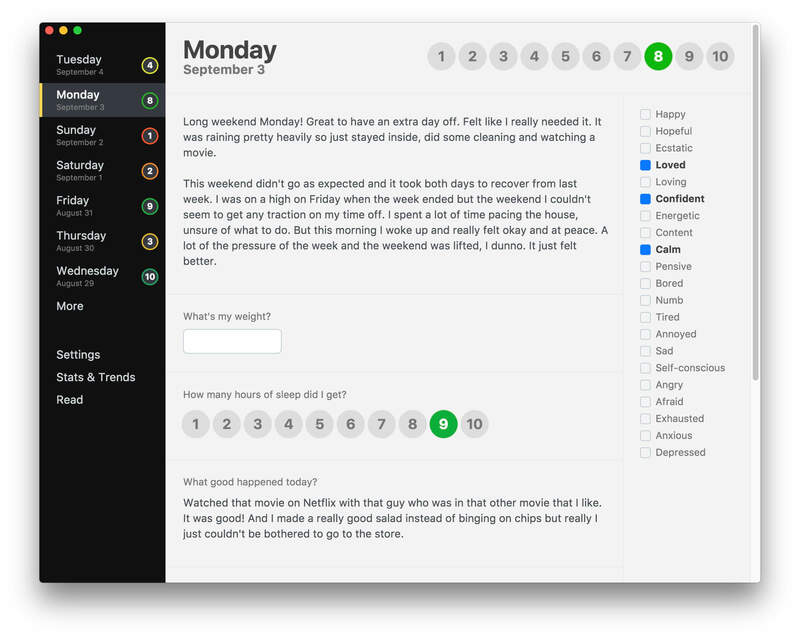 When you rate your days and track a few things, the results can be really impactful. 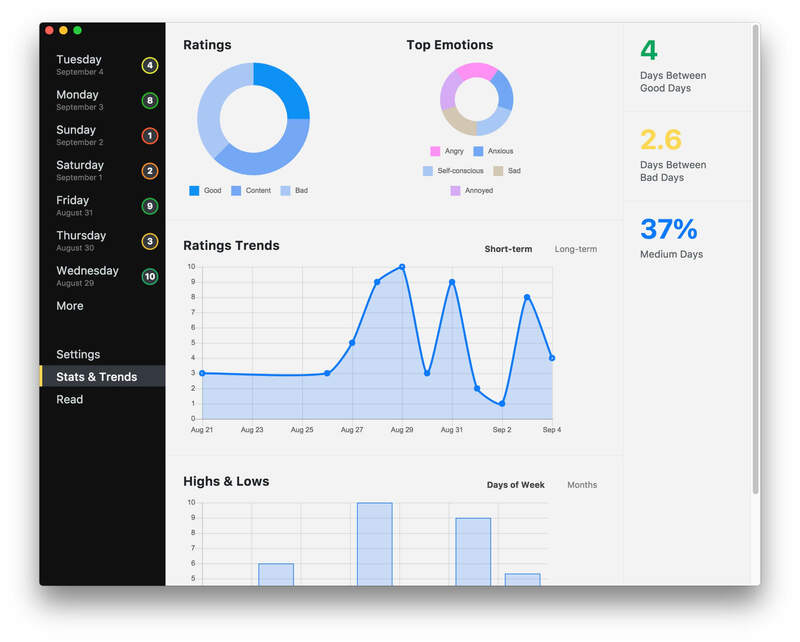 "This is a great app and it is truly making a difference in my life! I really love it and now I can't imagine a day without rating it here." "I thought my life was filled with bad days. I'm discovering that I'm not having as many bad days as I thought. I'm already starting to have a more positive outlook on life. Great job, guys!" "Loving your app - stunning UI!" Thanks to all of our testers and supporters! Get news, updates, facts about Grapefruit ... maybe a poem here and there.